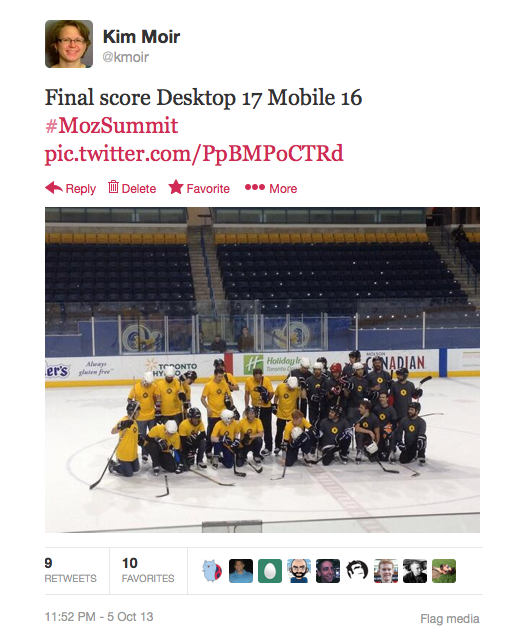 The first weekend of October, I attended the Mozilla Summit in Toronto. This was the first time I attended a summit since they only occur every few years. The summit is a gathering of the Mozilla community, both paid contributors and volunteers. Unlike other open source conferences I’ve attended, in that the focus wasn’t solely on the amazing new products and initiatives we are working on. The major purpose of the summit was on the how to improve the open web and community as a whole, attract new contributors, and plan for the future. It was wonderful so talk to so many people in person that I only normally communicate with via IRC, as well as meet new people. I really enjoyed the conference and would like to thank the organizers for all the hard work that went into it. Conference organizing is an all consuming task and I’d like to thank those that make the summit happen, and run so smoothly. Many people have already written about the amazing technical achievements that were unveiled, here’s a good summary. Coop blogged about the summit from the perspective of release engineering. Many things struck me about the conference from a community standpoint. There were many more diverse faces then I’ve seen at other open source conferences. Lots of young people, even some teenagers who were excited to be contributing to the Mozilla community. People from South America, Asia and Africa. There were also a larger percentage of women than I’ve ever seen at an open source event. I always joke that one of the good things about being a woman in open source is that there never is a lineup for the bathroom at break times. For this conference, I had to wait in line once, behind a colleague wearing an Ada Initiative shirt. I had meals where I wasn’t the only woman at the table, this was very refreshing. I’m the only woman out of 18 people on the Mozilla release engineering team. My colleagues are all great but at the same time it was amazing to meet and speak with so many talented women who are passionate about open source. There were keynotes every morning and the remainder of the slots were working sessions where people could come together around a common topic and work together to formulate ideas to make things better for the future. For instance, I attended workshops on topics such as organizing your project for contribution. One of the interesting points that David Eaves and Mike Hoye brought up in this session is that the number one predictor that a contributor will continue to make contributions is if there initial bug is triaged into to the correct bucket and they receive feedback. The faster they receive feedback, even if the feedback is that the bug won’t be looked at for two weeks, the more likely it is that they will make another contribution. I also attended a session on how to scale our community to larger numbers which included discussions regarding the research of volunteer organizations scale, educational theory and how to maintain volunteer engagement. Very different from my usual work topics of how to scale infrastructure and build capacity but very interesting the same. Liz Henry set up a table where you could make jewellery with your favourite bug number or your irc nick. What a fantastic idea, thank you Liz. Saturday night had a lot of fun social events including a hockey (shinny) game at Maple Leaf Gardens where Potch served as announcer. Thank you Lawrence Mandel and Lukas Blakk for organizing, it was amazing. A couple of the people in the game were pretty new to skating and had never played hockey before but they did fine! In the end it was a pretty close game. On the way back to the hotel I had the chance to explore the art of Nuit Blanche with some colleagues. It was beautiful. 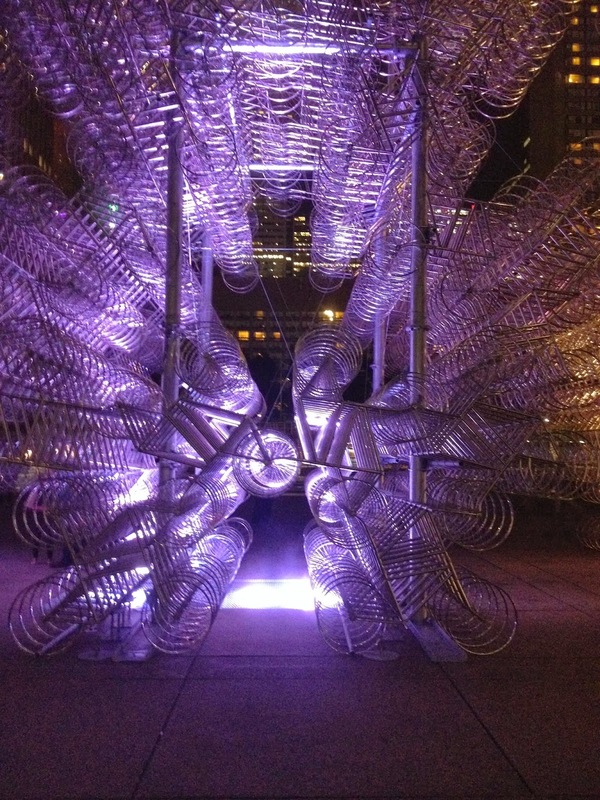 Ai Weiwei‘s Toronto installation of Forever Bicycles in Nathan Phillips Square. I’ve never been to a conference where the focus is so much on “what can we do next” instead of “what we are doing now”. I wonder if other open source communities do the same. 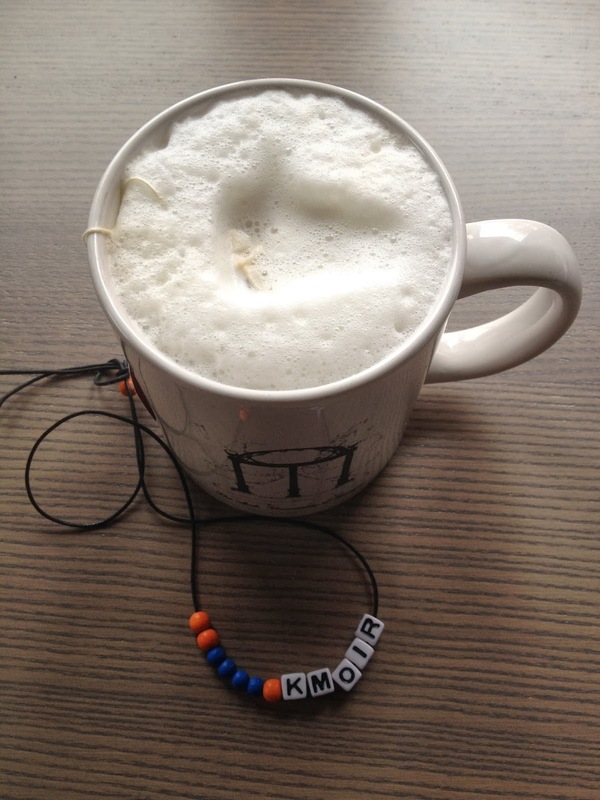 What did you enjoy most about the Mozilla Summit? Proud to be Mozillian with you.